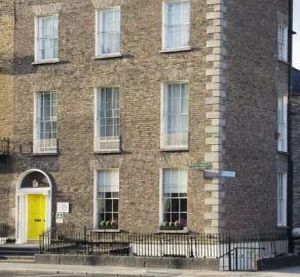 Lower Leeson Street, 24, 00002 Dublin, Irland. This Georgian building is located in the heart of the city, ideally sited for both business and tourism, and offers a restaurant, ticket-reservation service plus rooms with bathroom, minibar, television and telephone. 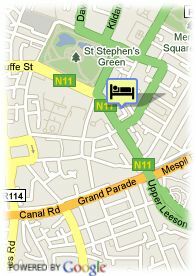 A huge advantage to this hotel, is that the aircoach stops 24/7 outside of hotel. Park, Stadtzentrum, Museenviertel, in der Nähe der Altstadt, in der Nähe der U-Bahn / Strassenbahn.